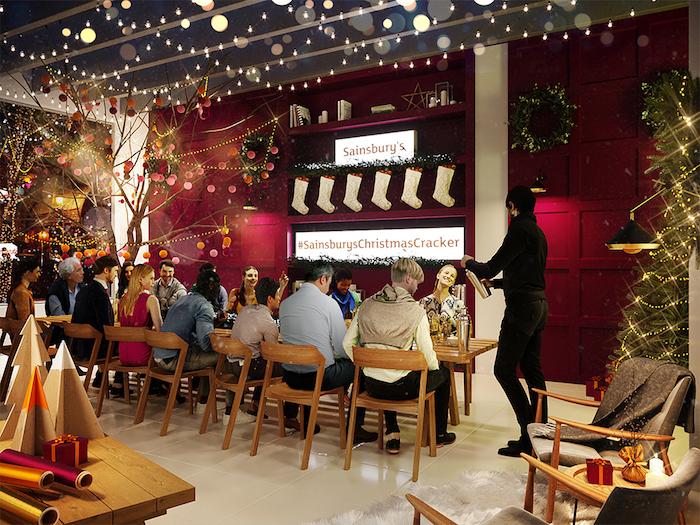 Sainsbury’s Christmas Cracker – a one off event opening its doors on New Oxford Street from Friday 7th to Saturday 8th December – aims to become a festive aficionado, teaching guests the tricks of the trade from some of the best in the business to enable them to dazzle family and friends this festive season. Cheese lovers will be taught to craft Instagrammable platters in a plating and pairing masterclass from industry experts, Grape and Fig. Guests will learn how to perfect their wrapping technique with London Craft Club. Participants will take their wrapping skills to the next level as they style a free gift from Sainsbury’s, with seasonal foliage. Guests can also step in to a winter wonderland for a moment in the spotlight, having a fun and festive photograph to take away with them. Tickets for each workshop are priced at £10 including VAT plus booking fees. At least £9.50from every ticket purchase will go directly to Sainsbury’s charity partner, The Felix Project, a charity which helps the most vulnerable in society. The Felix Project is a charity partner in Brighten a Million Christmases campaign, Sainsbury’s Food and Toy Donation Drive, launching from Friday 30th November until Sunday 16th December. Proud Robinson & Partners are behind the activation and Hope & Glory handled the PR.